In the preliminary analysis conducted within hours of the event, NORSAR reported an event magnitude of 5.8. This estimate was obtained using analysis procedures developed from investigations of the previous five North Korean test explosions, all of which were around the magnitude range 4 - 5. However, the 3 September 2017 test was an order of magnitude larger than any of the previous explosions and resulted in seismic signals dominated by radiated energy at lower frequencies. Our analysis procedures have been revised accordingly to include the lowermost part of the signal spectrum. The revised assessment estimates the magnitude to 6.1 and makes this explosion clearly the strongest so far. 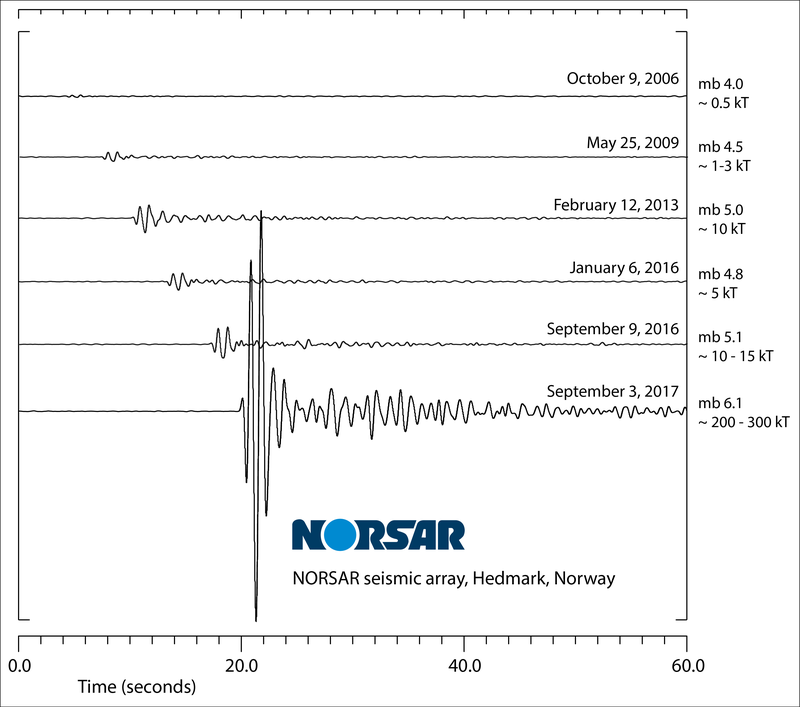 The figure below shows to a common scale the signals from the six North Korean nuclear tests and their magnitudes after applying the revised analysis procedures to data from the NORSAR seismic array station in Hedmark, Norway. The trace at the bottom shows the signal from the 3 September 2017 event, whereas the five upper traces display the signals from the five preceding tests, conducted by North Korea in 2006, 2009, 2013, and 2016 (two explosions). The correspondence between the seismic magnitude and explosive yield of an underground nuclear test is associated with a very large uncertainty. Empirical relations have been derived for different test sites where reference yields have been available. 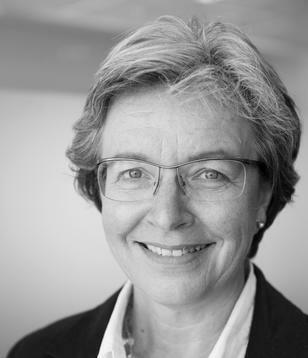 A common relation used is magnitude = 0.75log(yield) + k, where k is a constant representative for a given test site, including its geological conditions. As no reported and reliable reference yields are available for the North Korean test site, we have applied a k-value of 4.3, as has been advocated for the northern Novaya Zemlya test site. By applying a k-value of 4.3, we obtain a yield estimate of 250 kilotons TNT for the magnitude 6.1 event on 3 September 2017. This is an estimate with some uncertainty. In comparison, the explosive yield of the nuclear bomb dropped on Hiroshima on 6 August 1945 was estimated at approximately 15 kilotons TNT, while the bomb dropped on Nagasaki three days later was estimated at approximately 20 kilotons TNT.